I hadn’t seen her in a while, so when I encountered my pregnant colleague in the hall last week, I actually did one of those sitcom-style doubletakes. I couldn’t help it. She has the same due date as me — well, the same due date that I had 16 years ago, when I was expecting my first child to arrive around September 30. So of course I found myself reminiscing about the final days of my own pregnancy. Back then, I had waddled about those very same halls with a similar stare-inducing profile, but in much less stylish clothing. 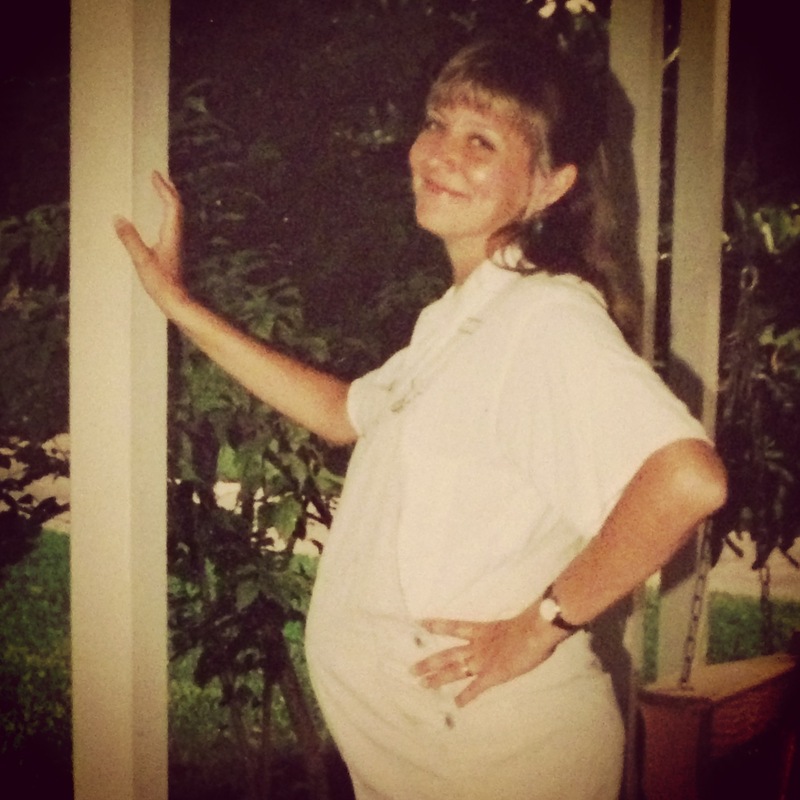 Aside from lacking good wardrobe options, I really loved being pregnant. I was lucky enough to get through both of my pregnancies feeling fine and cankle-free, with just a touch of heartburn now and then. Looking at my coworker and the small crowd that had now gathered to hear the latest pregnancy updates and gaze upon her “bump,” I had a flashback to the same sort of scene, 16 years earlier. A few people at work had circled around me, inquiring about my water retention, my dilation/effacement stats, my breastfeeding plans, etc. (Obviously these people were women.) And then, a young male art director I barely knew marched up to me and plopped his hand squarely on my stomach — and held it there. I can’t recall exactly what he said, but it was probably something along the lines of, “Huh. Cool.” Then he just strutted away, leaving me speechless. It wasn’t the first time a relative stranger did that to me, and it wasn’t the last. So what’s a woman to do? Well, these days you can find endless blog posts and advice columns about how to handle the situation. There’s also a whole cottage fashion industry borne from it, if you prefer nonverbal communication. As for me? I just wrote a poem. It’s renowned for its profound capacity to astound. It’s large, not small — bigger than a basketball. You could hardly call it diminutive at all. You could watch it in lieu of hippos at the zoo. It can eclipse the sun. It can make people run. It’s a bun that some shun, for it appears to weigh a ton. Such comments will instill nothing in me but goodwill. (without permission, as a rule). Its attraction is such that they just reach out and touch. I hardly think Miss Manners would approve of this that much. while, with hormones fast aflow, I long to tell them where to go. and so….there oughta be a law.